TouchTunes is the innovative leader for location-based interactive entertainment. 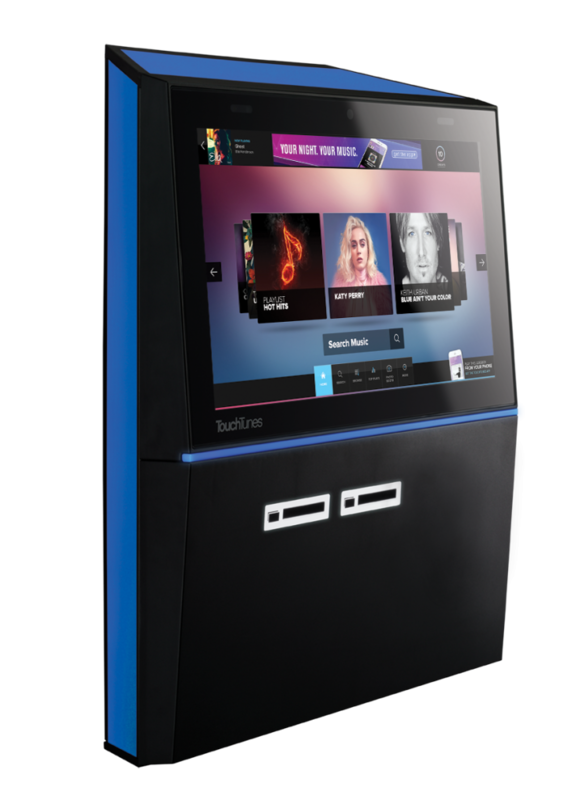 The TouchTunes ecosystem of products, services and programs provides an extraordinarily engaging jukebox experience that creates compelling entertainment for bars and restaurants, while helping drive in-venue food and beverage sales. 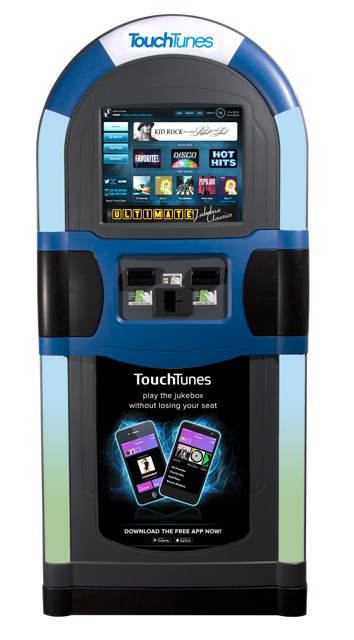 H. Lazar & Son, Inc. is among the earliest operators of TouchTunes jukeboxes, installing its first jukebox in 1999. This special relationship continues to this day with our president, Dale Lazar, serving on their prestigious Operator Advisory Board (OAB) since 2008. Additionally, our staff beta tests many of their products and services and speaks with both their sales team and technical team on a regular basis. 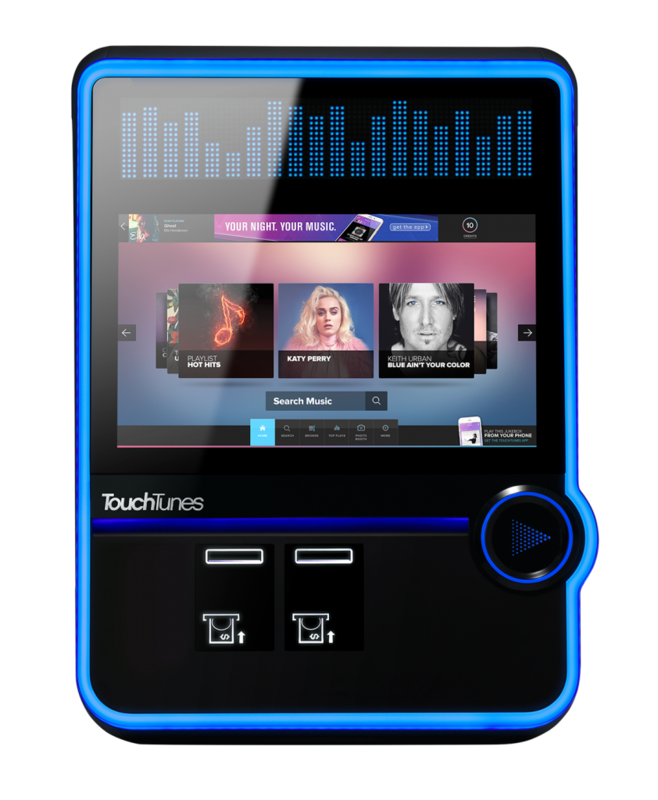 TouchTunes jukeboxes are available primarily in the wall mount format. Floor models are available under special circumstances. Locations have the ability to select their music genres and filter out undesirable songs. All TouchTunes jukeboxes come with dual bill acceptors to reduce down time. Three jukeboxes are now available from TouchTunes and are presented below. The Virtuo is the flagship of the TouchTunes line. It is a showpiece of form and function that commands attention in any venue. The sleek design with adjustable rim and wall lighting helps to set the mood. The large 27” HD screen encourages social interaction. The top LED screen calls out to patrons, telling them what song is playing and shows a dynamic equalizer that moves to the music. The Playdium is the smaller of TouchTunes' two wall mount jukeboxes. It has a slim, compact and sophisticated design with subtle lighting and reflective surfaces. This jukebox is typically used in small venues or when wall space is at a premium. The Allegro MX-1v is TouchTunes’ dedicated floor model jukebox. It’s retro look is both attention grabbing and functional. This jukebox is the only TouchTunes jukebox with its own sound system. It includes a powered subwoofer and an amplifier capable of providing sound to three zones. 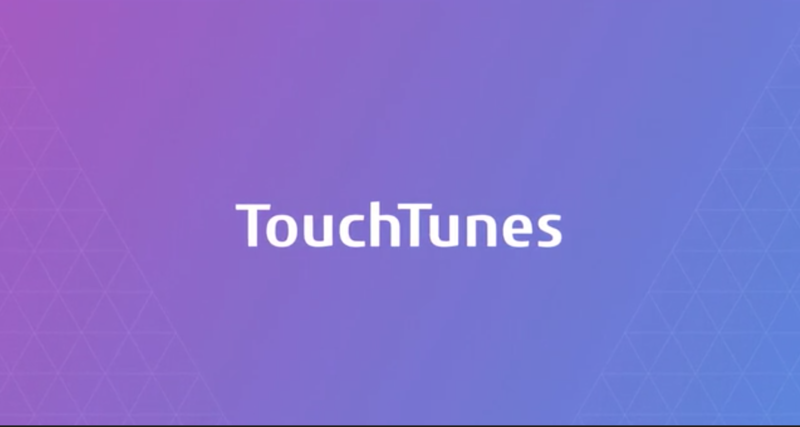 Click on the video below to learn about TouchTunes Award Winning Mobile App. 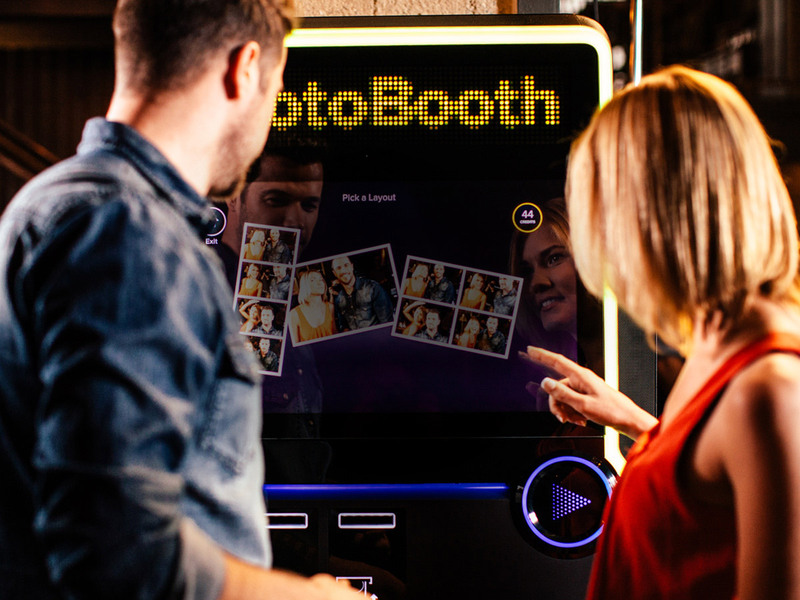 With the touch of a button, the TouchTunes Virtuo and Playdium jukeboxes transform into an interactive free photo booth experience that inspires patrons to engage the jukebox, be spontaneous and create fun images that can be shared at no cost with friends and family. Users can choose from a variety of photo frames, effects and multiple formats. Bar Connect and Bar Rewards are two innovative engagement and loyalty programs that are exclusively available to TouchTunes venue owners and bar staff. 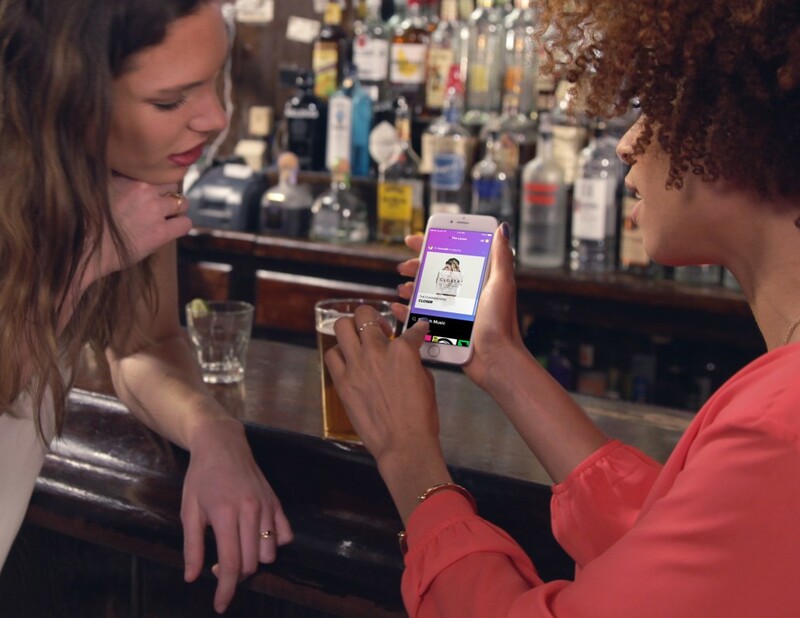 Bar Connect is a tool for managing services and helps bar staff connect with their patrons. A staff member must first register with Bar Connect at the venue to have access to its services. When a staff member registers with Bar Connect, they will automatically be enrolled in the Bar Rewards program. Go to TouchTunes.com/BarRewards for more information and to join now. The TouchTunes Proximity Network reaches customers in-venue to drive engagement, plays and revenue. With the TouchTunes Proximity Network, we are able to send targeted, personalized and relevant messages to mobile app users when detected at an H. Lazar & Son, Inc. TouchTunes venue. This innovative service uses cutting-edge technologies to accurately know when TouchTunes mobile app users are at a TouchTunes venue and determines how best to reach them. Messages are sent at an algorithmically determined “right time”. For example, after being at a venue for 15 minutes without playing the jukebox, a mobile app user will receive a push message that says, “You and Ross’s Bar both like Honky Tonk Woman. Get the vibe going and play it now”. 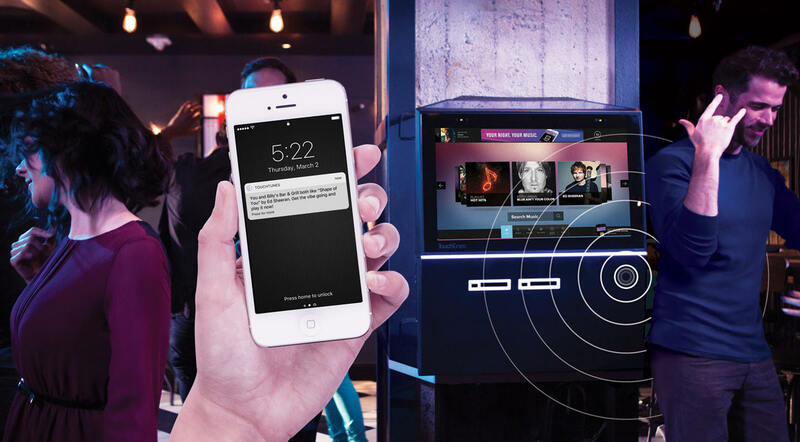 Connecting the knowledge that the user is at a TouchTunes venue with personalized, relevant messaging greatly increases engagement rates to drive plays and revenue. H. Lazar & Son, Inc. offers a TouchTunes sourced background music solution at a nominal weekly cost. All music is fully licensed for commercial establishments. There are over twenty themed and curated music channels to choose from. Each channel is refreshed monthly with new music. Channels can be changed instantly using the jukebox remote or can be scheduled for a specific time of day.